The Department of Health has asked the Health Foundation to carry out a review into indicators on the quality of care offered by GP practices in England. The independent health care charity's review will bring in all key stakeholders, and aims to analyse the already extensive work done in this area, assess whether a meaningful set of indicators has been developed, and identify the way forward to cover any gaps. 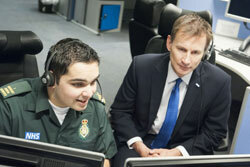 Secretary of State for Health Jeremy Hunt (pictured) announced the review in a speech in south London this week, saying it will assess if comparable indicators on the quality of primary care are sufficiently developed to be used to help practices improve quality. quality of care their GP practice provides and consider whether credible indicators are available by specific population groups and the services available to them. These groups will be people over 70, people with long-term conditions, people with mental health conditions, mothers and children, and people who are ‘generally well’. The results of the review, to be completed in September 2015, may be used by the government to develop a ‘scorecard’ of indicators for each GP practice to be published on the MyNHS website.